Our core values and our people are the foundation of our culture. 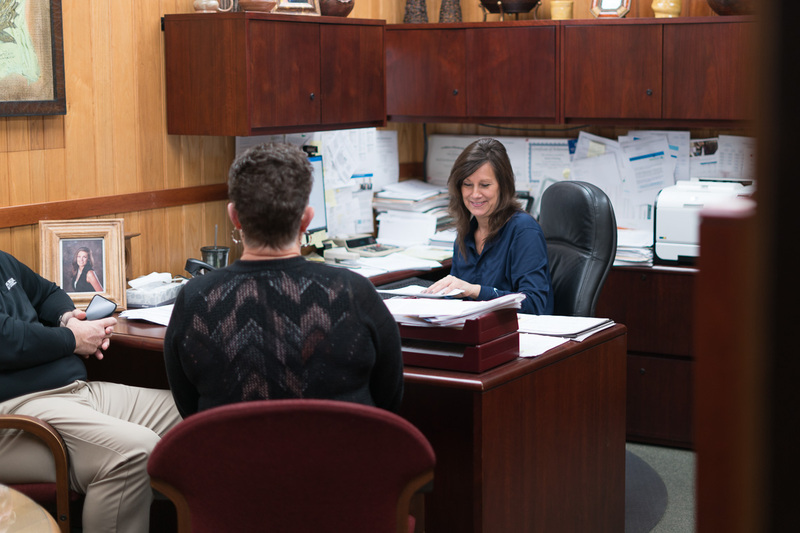 At Frank Miller Lumber, our company culture is important to us. Our core values and our people make us who we are. We put people – both our team members and our customers – first, always. As our company changes and grows, the beliefs that are most important to us remain: pursuing product excellence, acting with integrity, and serving our community. 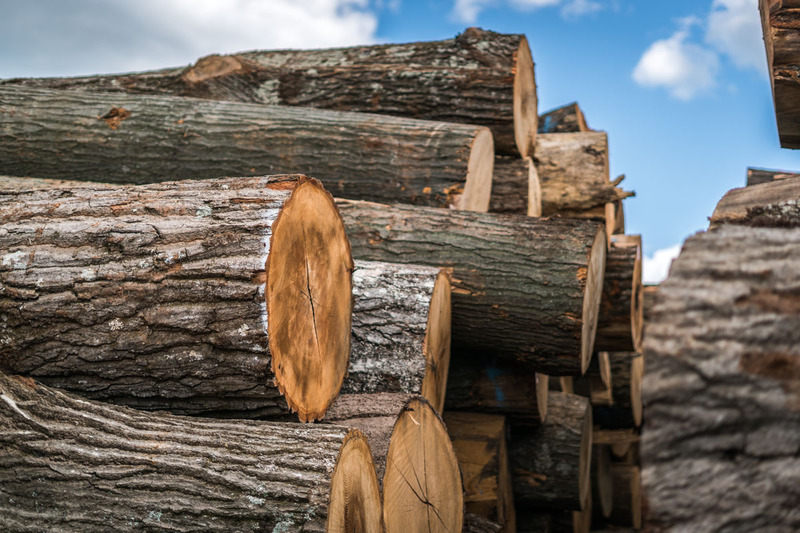 Being part of Frank Miller Lumber means being part of more than a century of proud history and a thriving and growing culture. In 1903, John Miller purchased a small lumber mill serving the needs of local farmers in Union City, Indiana. Upon his death, his son Frank assumed leadership of the company that has evolved into Frank Miller Lumber. In continuous operation for more than a century, the company remains family-owned and directed, with members of the family in various board and company positions. Today, Frank Miller Lumber markets globally to high-end manufacturers that produce furniture, flooring, cabinetry, and architectural millwork. Top projects include customers like Bill Gates, Charles Schwab, Reba McEntire, Lance Armstrong, and building projects like the the J. Paul Getty Museum in Los Angeles, San Francisco City Hall, the Barnes Foundation Museum in Philadelphia, the St. Louis Art Museum, the Kauffman Center for the Performing Arts in Kansas City, and Barangaroo South in Sydney, Australia, to name a few. We believe that if we take care of our team members, they will take care of the customers. This belief makes Frank Miller Lumber a world-class place to work, right here in Indiana. We give our team members opportunities to grow and succeed. 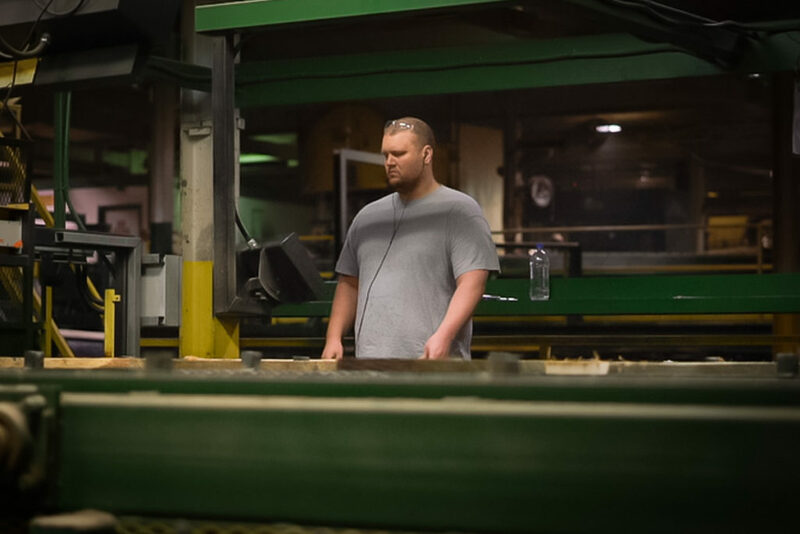 Many of our employees start out in positions in the sorting and banding departments. Through hard work and dedication, many of our team members create opportunities for themselves and the company, moving up into roles with more responsibility. Below are two Frank Miller Lumber team members — with hire dates over four decades apart — who are shining examples of that hard work and dedication. Nick was hired in as a planer piler and was promoted to inspector within just six months. 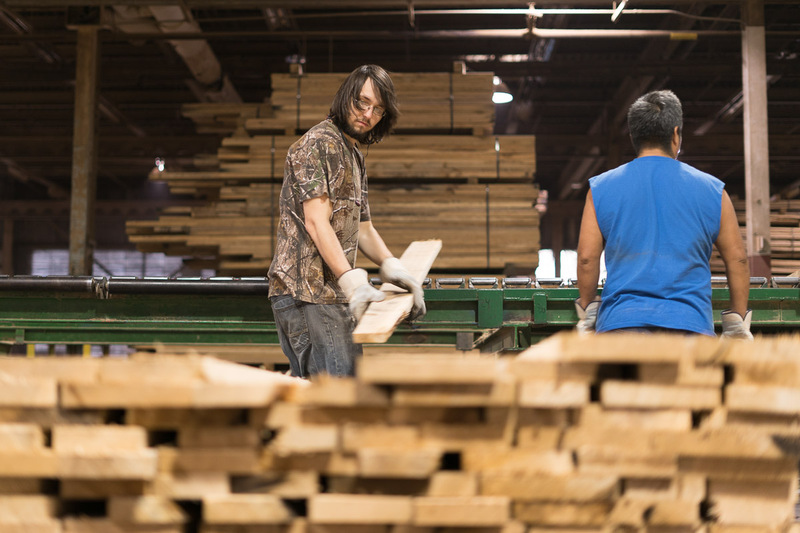 After each quartersawn board is double-end trimmed, the lumber flow continues to an advanced control system that provides length, width and thickness data to assist Frank Miller Lumber trained lumber inspectors — like Nick — in applying the proper grade to each board. This grade is critical to the sale of Frank Miller Lumber’s premier American hardwoods. Nick grew up in the Richmond, IN, area, attending Centerville, IN, schools. He enjoys fishing, hunting, and reading fiction and non-fiction books. Jim Roll has been a dedicated employee of Frank Miller Lumber Company for nearly half a century. His very first job was working at FML, stapling pallets together with a nail gun (back when FM ran a pallet mill). 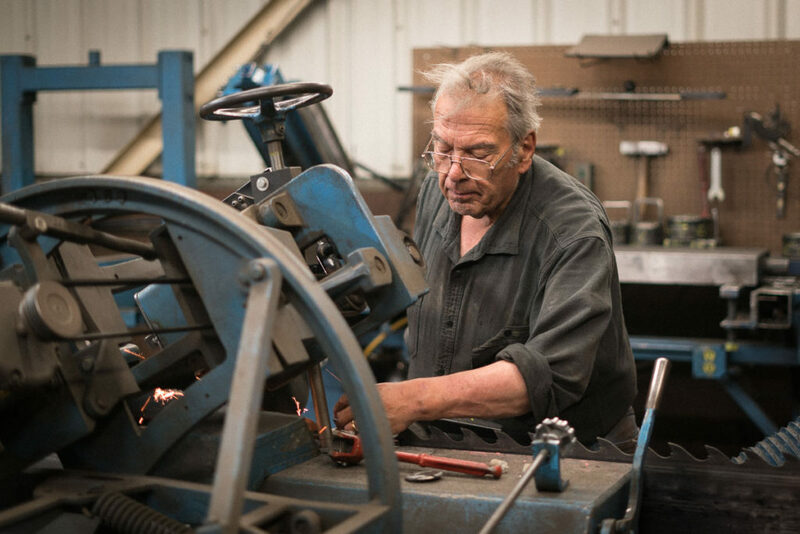 Jim’s current position of band saw filer — one that he has held for over 30 years — is of utmost importance to the company. If not for all those in the file room who keep the band saw continuously sharpened, FML could not adequately cut the incoming logs for production. Jim, a widower, resides in rural Union City and enjoys tinkering with old tractors and gas engines in his free time. Even though he has contributed 45-1/2 years of his working life to FML, his plan is to keep working. His philosophy is to “do the best you can.” Obviously, he lives by that fundamental. We are dedicated to our Randolph County, Indiana community and surrounding communities. We’re more than a major area employer, we’re a good neighbor. Frank Miller Lumber is a sponsor of The Mississinawa Valley-MVCTC FFA Chapter, and a gold-level sponsor of The Union City Arts Festival, a three-day festival in Union City, OH/IN that celebrates the arts and culture of Darke County, OH and Randolph County, IN and beyond with an emphasis on creating opportunities for local and regional artists and emerging artists working across a diverse range of media. Frank Miller Lumber President and CEO, Steve James, is on the Board of Directors on the Randolph County Economic Development Corp., which believes it is a place where businesses can find the resources, infrastructure, and skilled workforce needed to succeed.